Twenty-seven board games. One game for each of the 21 types of /r/, plus six carry-over games. Great for vocalic /r/ carry-over. Loads of fun vocalic /r/ practice. Great L practice. Only the target L word and word position appear in each story. Great for reading comprehension. Advanced practice for vocalic /r/. Sixty-seven (67) phonologically pure /r/ stories. All 8 variations of /r/ as well as a special challenge section of mixed /r/, r blends, and recurrent /r/. Over 50 stories for s and z divided by initial, medial and final word positions. Quickly and easily assess frontal and lateral lisp disorders with this handy screening tool and stimulus cards. Evaluates for S, S blends, and Z. The complete reference for afficates and fricatives. Treat SH, CH, ZH, and J articulation disorders with ease. Quickly and easily treat and evaluate all 21 types of /r/. Divided by vocalic phoneme and by initial, medial, and final word positions. 21 sections of worksheets and homework sheets for each vocalic /r/. The complete reference for frontal and lateral lisps. Treat S, S blends, final S clusters and Z articulation disorders with ease. Loads of worksheets! Make articulation therapy fun! This four book set contains over 200,000 sentence stories for popular sounds S and Z, SH and CH (ZH and J), TH, F and V, K and G. Each book has 3 flip-able panels that change to provide endless targeted productions. Teaching articulation has never been easier. Treat and evaluate affricates and Fricatives with ease. Includes SH, CH, J and ZH sounds. Flip Books, evaluation and treatment materials included. Treat frontal and lateral lisps (S & Z sounds) with this fun, easy to use flip book from the Flip and Say Articulation Series. Move panels to create over 68,000 possible sentence stories! Articulation practice for SH and CH, as well as J and ZH sounds. Use the flip book for fun and easy affricate and fricative treatment therapy. K and G Flip Book. Fun and easy to use therapy for early developing sounds. Articulation flip book to practice TH, F and V with this fun, easy to use flip book. Great for articulation practice for early developing sounds for preschoolers and elementary school age children. The following sounds are covered in this adorable set of five flip books: P&B, T&D, W, H&L, M&N, R, S&L blends. Get all 3 sets of articulation flip books: The Entire World of R, Flip and Say and Early Developing Sounds. Every consonantal sound for a special price of $187.98. Save $79.98 -- You get one set for FREE! Provides auditory feedback for reading and articulation. Hands-free, lightweight, comfortable (adjustable) and easy to use. Small Whisper Phone is designed for K-Grade 4. Kids love to use them. Double Dice Vocalic R contains loads of /r/ remediation practice for all allophones of /r/. Includes a unique 12 sided die with 12 sided inner die for choosing repetitions. Dot Vocalic R is a unique way to practice and reinforce r-controlled vowels. Sold separately 4 scented ink daubers which records productions. Work on all the early developing sounds, M/N, P/B, T/D, K/G, W/H, and F/V. Loaded with activities for younger children: Screening forms, cutout cards, activities, songs, finger plays, and crafts. 5-Minute Kids™ Therapy Manual for R. 5-Minute Kids™ is a clear, step-by-step articulation remediation program designed to minimize the amount of time that out of the classroom, and to improve the quality of time spent addressing individual speech sounds in therapy. 5-Minute Kids™ Therapy Manual for L. 5-Minute Kids™ is a clear, step-by-step articulation remediation program designed to minimize the amount of time that out of the classroom, and to improve the quality of time spent addressing individual speech sounds in therapy. 5-Minute Kids™ Therapy Manual for SH & CH. 5-Minute Kids™ is a clear, step-by-step articulation remediation program designed to minimize the amount of time that out of the classroom, and to improve the quality of time spent addressing individual speech sounds in therapy. 5-Minute Kids™ Therapy Program. Includes the program manual and all 6 therapy series books (R, S/Z, L, SH/CH, K/G, F,V, TH). Save $$. 5-Minute Kids™ is a clear, step-by-step articulation remediation program designed to minimize the amount of time that out of the classroom, and to improve the quality of time spent addressing individual speech sounds in therapy. Let your students “dot” and “daub” their way to language success with DOT Articulation Sounds. This reproducible workbook contains interactive activity pages that target most all articulation sounds. This books focuses on reading comprehension and sentence building activities. 5-Minute Kids™ is a clear, step-by-step articulation remediation program designed to minimize the amount of time that out of the classroom, and to improve the quality of time spent addressing individual speech sounds in therapy. 5-Minute Kids™ Therapy Manual for S & Z. 5-Minute Kids™ is a clear, step-by-step articulation remediation program designed to minimize the amount of time that out of the classroom, and to improve the quality of time spent addressing individual speech sounds in therapy. 5-Minute Kids™ Therapy Manual for K & G. 5-Minute Kids™ is a clear, step-by-step articulation remediation program designed to minimize the amount of time that out of the classroom, and to improve the quality of time spent addressing individual speech sounds in therapy. 5-Minute Kids™ Therapy Manual for F, V and TH. 5-Minute Kids™ is a clear, step-by-step articulation remediation program designed to minimize the amount of time that out of the classroom, and to improve the quality of time spent addressing individual speech sounds in therapy. Double Dice /s/ and /s/ blends contains loads of remediation practice for lisp Includes unique 12 sided die with 12 sided inner die for choosing repetitions. Double Dice CH, SH and TH contains loads of articulation remediation practice. Includes unique 12 sided die with 12 sided inner die for choosing repetitions. Let your students “dot” and “daub” their way to language success with DOT Preschool Early Developing Sounds. This reproducible workbook contains interactive activity pages that target all the early developing sounds like /p, b/, /m,n, /k, g/. Vocalic R Reproducible Bingo contains loads of /r/ practice. Includes all types of /r/. Consistent with the popular Entire World of R methology. For two students to talk, hear and learn together in pairs. Provides auditory feedback for reading and articulation. Batteries not required. DOT Therapy Reinforcers is a reproducible therapy resource that allows targeting of any therapy. 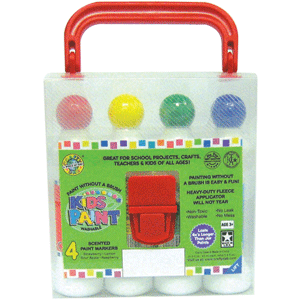 Keeps students engaged in the activity through interactive play. Fun and challenging articulation word web practice for ages 8 and up. Includes 66 acticulation carryover puzzles as well as grammar teaching tools for prefixes, suffixes, segmenting, sentence definition and compound words.